The March meeting of the Melksham & District Historical Association was well attended. Members were eager to hear about the Air Transport Auxiliary – “the unsung heroes of WW2” as our speaker Bill King described them. Flying became very popular after the 1st WW particularly as it was easy to buy the now surplus bi- planes from the military, second hand. FlyingCclubs were set up on the disused airfields and used by wealthy land owners and business men. It may have been fairly cheap to buy a plane but they were expensive to fly. It was a favourite past time of the young debs too, who had time and money on their side. 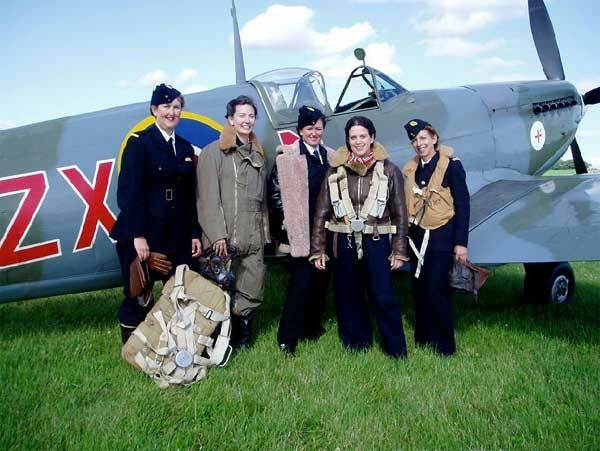 The ATA was a civilian service set up once war was inevitable, Mostly made up of pilots exempt from wartime service due to health age and gender, they were needed to deliver the new modern planes from factories to the RAF and Royal Navy. Anyone with the necessary pilots licence was recruited. Bill King seemed to know them all by name, had many pictures of them either getting in or out of their planes, or hanging about waiting for their orders. The anecdotes of their experiences were quite harrowing, avoiding balloons, wires, etc and coping with bad weather conditions. We had all heard of Amy Johnson but many had not known that she perished in the Thames estuary having run out of fuel. Due to the bad weather she had taken the long route from Liverpool to Oxford by crossing to the east coast and following it south and was planning to fly up the Thames to Oxford. It was a sad ending for a very adventurous and brave lady. It was obvious from his talk just how knowledgeable he was on the subject also how involved he become with the pilots, visiting them in later years, and attending their funerals. Bill has visited us many times before and always knows his subject thoroughly which makes for a very enjoyable evening.